Naruto Shippuden 450 see’s the end of the filler arc as both Naruto and Sasuke fight for a final time to solve out the fact that Sasuke wants to be Naruto’s friends and vice versa. Basically a pointless fight that didn’t really do anything. Tsunade carries on her dream as we end this filler arc. Naruto Shippuden 450 see’s the end of the filler arc as Tsunade see’s her dream come true with Dan as Hokage and with her friends and family still in her life. I’m glad that this filler arc has ended as at the end of the episode we get to see Tsunade’s story end and pan out just to see the sheer number of individuals within the cocoons. On top of this, the fight between Naruto vs Sasuke was a little exciting, it has been repeated a lot, but the fact that it featured a much more exciting and action scene, it was pretty good. Next week’s Naruto Shippuden 451, titled “Itachi’s Story – Light and Darkness: Birth and Death” see’s the latest arc of Itachi, which was mentioned a few times now. Nevertheless, we’re being pushed back even further in focus of the actual anime episodes. Still, I shall carry on the short reviews because I’m not really interested in the Itachi arc. Fillers are OVER!!! :D 😀 and is that Dan Kato as Hokage ? 😀 is that Dan Kato as Hokage ? Yup thats correct, Fillers are over, but Itachi’s arc begins, which is based on some novels. So technically we’ve moved onto another arc. Yes, Filler’s gone!! true that the Itachi arc’s still coming though so it’ll probably be quite the wait once again and ironically…I think this filler sounds cooler than the Itachi thing coming up, but you never know I suppose. My brother actually bought the Kakashi and Shikamaru novels so I plan on reading them soon. Hopefully the anime doesn’t decide to animate those next before the climax though. Imagine how sad that would be! Although, my theory is looking more and more likely that they’re just waiting so that they can end the series on a perfect 500. I hope they don’t do that. I really want the series to end with a bang but extending it like this is hell for everyone. 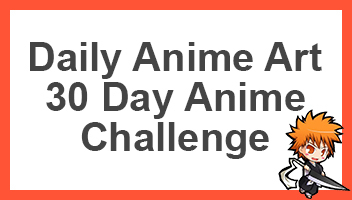 Especially since 500 is still 50 episodes away so that’s almost a whole year. Still, how long do you think the series will reach at this point? Itachi should be at least 13 episodes I’d guess, but quite possibly more like 26. Once it’s back to cannon, it should be really quick though. Boy, Sasuke sounded so cliche in this episode, that no matter if he has his family or not, he still has to find a reason to be frustrated and power mad…sounds like he seriously needs a girlfriend. Haha exactly, this has literally been the whole arc, full of this stuff. And it’s really annoying.